I am honestly ashamed at how long it took me to get around to reading this book. 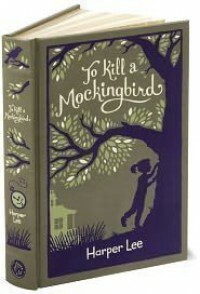 As one of the only students in the United States of America who somehow managed to graduate from high school and complete a college degree's worth of literature requirements without being assigned To Kill a Mockingbird, I was never forced to read it, and, for no particular reason, never got around to reading it by choice. Being an aspiring attorney, I have received several genuinely shocked reactions to my failure to add this particular novel to my "read" list, and I am glad to have finally completed it, even if I am a few years late in doing so. As for my actual opinions: I really really really love this book. Having heard so much about it over the years, I had built it up rather a lot in my mind prior to actually reading it, and I would be lying if I said it didn't fall a bit short of what I imagined in the beginning. I slogged through chapter after chapter of extended exposition and character development, thoroughly entertained but more than a little confused: where was all the drama I had been promised? Where was the riveting look at racial tension in a small Alabama town? Where was...anything exciting, frankly? Suffice to say I found all that and more once I persevered long enough to allow it to show up. 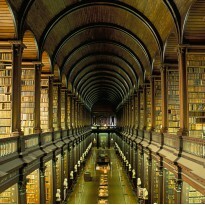 I also found what might be my all-time favorite literary quote ("But there is one way in this country in which all men are created equal--there is one human institution that makes a pauper the equal of a Rockefeller, the stupid man the equal of an Einstein, and the ignorant man the equal of any college president. That institution, gentlemen, is a court. It can be the Supreme Court of the United States or the humblest J.P. court in the land, or this honorable court which you serve. Our courts have their faults, as does any human institution, but in this country our courts are the great levelers, and in our courts all men are created equal.") and fell in love with a host of characters, including the incomparable Scout Finch and the riveting and mysterious Boo Radley, who somehow managed to be far and away the star in a novel where he literally only said five words in total. In short, if you, like me, have never gotten around to reading this book: for goodness sake, fix your mistake right now. I'd be lying if I called it perfect, but I can firmly and unequivocally call To Kill a Mockingbird an American classic.